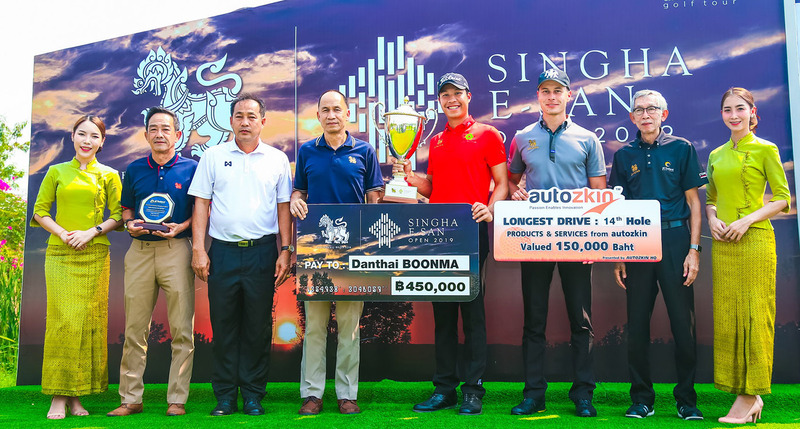 Apart from the winner’s cheque of 450,000 baht at the second leg of the All Thailand Golf Tour, Danthai is expected to earn seven world ranking points and moved up from 395 to 315 in the world ranking. The third place belonged to Pavit Tangkamolprasert, who closed with a 70 for a 14-under while Chonlatit Chuenboonngam (66), Johannes Veerman of USA (71) and Sadom Kaewkanjana (71) stayed tied for 4th on 12-under. 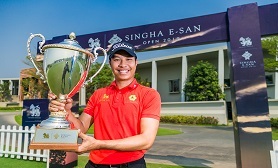 Local star Thanyakorn Khrongpha finished tied for 7th on 9-under after making a 69 and got 70,100 baht.Defending champion Rattanon Wannasrichan (71), Suradit Yongchareongchai (72), Kosuke Hamamoto (69) and Tawit Polthai (68) were joint 18th on 5-under. Last month’s Boonchu Ruangkit Championship winner Itthipat Buranatanyarat (74),veterans Prayad Marksaeng (73) and Thaworn Wiratchant (70) shared 22nd on 4-under and took home 32,325 baht each. The next leg of the ATGT will be the Thongchai Jaidee Foundation to be held in Lop Buri on Feb 10-14.